Check out these photos and videos from the snowstorm of 2009. As the Northeast is blanketed in an early winter snowstorm, we’d like to wish everyone a Merry Christmas and Happy New Year. For the first time in a long time (maybe since I was a kid), I’ve never felt so excited for the Christmas season. We have the tree up, the house is decorated, and right on schedule, we’ll be getting a few inches of snow to top it all off. Last year at this time, Julianne and I had been splitting our time at the hospital with Isabella for weeks and we didn’t even have the tree up yet or have time to go shopping. I urge you all to not only be festive and joyous during the holiday season, but to carry that with you all year, because you never know what the future brings. Here are a couple pictures and videos from our holiday season so far. Enjoy! Usually, a four-day weekend by itself is something to be thankful for, but this past Thanksgiving weekend was especially great. Our weekend started on Thursday, by watching the Macy’s Thanksgiving Day Parade. Later, we went to my Mom’s for the traditional Thanksgiving lunch/dinner. It has actually evolved from a traditional Thanksgiving dinner to include several filipino and Indian cuisines, but yes, we still have turkey and stuffing. The food was excellent as we all ate until we were full (and then some). Afterwards, we gathered around the TV to partake in some traditional video games, Rock Band and some Super Mario Bros. Wii. In between games, we ate some more. On Black Friday, we made sure to avoid the shopping areas, but instead hung around the house in the morning. Later in the afternoon, when it was safe, we ventured out to the stores and picked up some items. The stores weren’t too crowded by the time we went out, so I guess most people got their shopping in in the morning. Afterwards, we continued another long-standing Thanksgiving tradition and went back to my mom’s to finish up the leftovers. On Saturday, we decided to relax and stick around the house. The weather was so nice, we were able to play some baseball out in the yard. Annalise, Isabella, me, and even Nathaniel took turns pitching and hitting. Sunday was an even better day weather-wise than Saturday. We decided to go to a nearby beach to get some fresh air, and apparently everyone else did too as the playground at the beach was packed! The weather was also better than expected because it wasn’t windy at all as we were expecting. Check out the pictures below to see some highlights from our weekend. Click on the picture to see the original size, hover your mouse over the picture for a quick description. So for the first time in my 38 years of existence, I was finally able to attend a championship parade for my beloved New York Yankees. Since Annalise was home from school anyway, I brought her along. We also went with my mom and aunt, and the Morin family who go to the same school as Annalise. I have to say that we were disappointed in the experience, as it was way too crowded where we were, which was right at the end of the parade route at City Hall. We weren’t able to get near the parade route and could not see anything so we ended up leaving before the parade ended. We ended up taking the subway back to Times Square where we watched portions of the parade on the jumbo screens there. It was a pretty cool experience in the end, just being there with thousands of other people, but we’ll have to plan it a little better next year. (That’s right, I expect another championship next year!) For example, we will need to get there much earlier, and go further south along the route away from City Hall. Anyway, here are a few pictures that we took to help capture the day. Click on the picture to see a larger version. Go Yankees! Sometimes, the Yankees are referred to as the “Evil Empire”. If you look closely at this next picture on the left, you’ll see Darth Vader enjoying the parade (although I would think he’d be able to get a better seat). Later on, we saw Darth showing his obvious disappointment with the Mets. The sea of humanity was daunting. This was the stage at City Hall where the players ended up. We finally ended up at Times Square where the girls played cards. Congratulations to the New York Yankees who won their 27th World Series Championship after beating the Philadelphia Phillies 7-3. The last time I saw them win a World Series was in 2000 when they beat their cross-town rivals, the New York Mets. At the time, Annalise was just 6 months old and we were living in Hartford. Since then, we've moved down to Norwalk and added a couple more kids. I must admit after watching the Yankees win 4 championships in 5 years from 1996 to 2000, we Yankee fans got a little spoiled. Before 1996, the Yankees hadn't won since I was a little kid in 1978. So this one will be cherished a little bit more not just because it's been 9 years since the last championship, but it's also the first one in the new stadium. I know it sounds a little greedy, but I still hope they win a few more! Happy Halloween! We’ll have more pictures from the trick-or-treating later, but for now, here are Annalise and Isabella in their costumes. UPDATE (11:30 PM) – More Pictures! One of Julianne’s most favorite times of the year is autumn in New England. She loves the cool, crisp air and the changing leaves. Personally, I’d be happy if it was 90 degrees and sunny everyday. I wouldn’t miss raking the leaves or shoveling two feet of snow in zero degree weather! But here in CT, we are now in the middle of Fall, and the requisite changing colors and falling of the leaves. I don’t know what it is about kids, but they love jumping around in leaves. I guess I can’t blame them since I used to do the same thing as a kid. But anyway, please enjoy this slideshow of some fall pictures and a video. Yankees Going to the World Series! 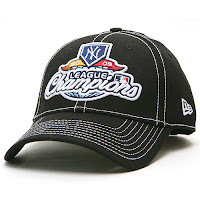 Congratulations to the New York Yankees who just defeated the LA Angels in the ALCS to get to the World Series! Anyone who knows me knows I am a giant Yankees fan and it's been way too long since they've been to the World Series. The last time they won was in 2000, the last time they went to the World Series was 2003 when they got beat by the Marlins. Since then, it's been a bunch of disappointments. But this year's group of guys were fun to watch. When they last won the World Series, we were living in Hartford, so we never got a chance to see a championship parade. 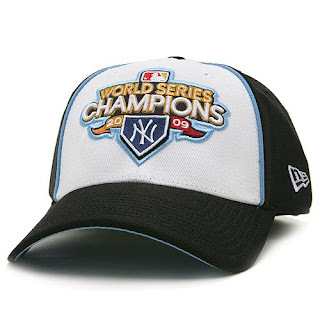 I'm hoping we get to see one in the next couple of weeks to celebrate the Yankees 27th championship! Welcome to the redesign of our web site. We're hoping that this new, fresh design will provide a cleaner view to most of the stuff that you're interested in, pictures and video! You'll notice that there is a new slideshow of photos in the upper right hand corner of the page. This will contain some of our newest pictures that may not necessarily require a new blog post. In addition, over to the right sidebar, the video player will play all videos that we have posted on Youtube. So this site is to post more of our family related news and events. Anything strictly related to just Isabella will continue to be posted at the Isabella's Fight website. If you would like to receive an e-mail whenever there's a new post, click on the Subscribe link right above.